The Syrian military, backed by the Russian Air Force, has completed its operation to liberate the key city of Palmyra from militants, Kremlin has announced. Russian Defense Minister Sergey Shoigu has reported to the commander-in-chief, President Vladimir Putin, that the historic city in Syria’s Homs province has been liberated, Kremlin press secretary Dmitry Peskov said. Syrian Army specialists have begun examining the historic part of Palmyra with the aim of demining the city, a RIA-Novosti correspondent reports. Fortifications on the outskirts of Palmyra are being erected to prevent any counter-offensive by Islamic State, he added. “The flag of the Islamic State terrorist group has been removed from the city of Palmyra. It should be viewed as a joint success of the Russian Air Force and the Syrian military. Shortly, the whole territory of Syria will be liberated from the terrorists,” Andrey Krasov, deputy head of the Russian parliament’s Committee for Defense, said. 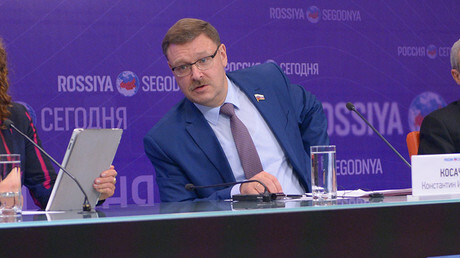 The head of Russia’s upper house Committee for International Relations, Konstantin Kosachev, has called Palmyra the symbol of the Syrian people’s tragedy and their liberation from the terrorists. “The retaking of Palmyra is a powerful symbol of liberation of Syria from the terrorist disease, the return of the country to normal life,” Kosachev is cited as saying by TASS. Palmyra, a UNESCO World Heritage Site, was one of the most important centers of the Roman Empire. It fell under IS control back in 2015, with the terrorists blowing up several historic monuments, including the 1,800-year-old Monumental Arch of Palmyra, most of the Temple of Bel, and the Temple of Baalshamin. The city was liberated in last March after a two-week operation by the Syrian Army, with the backing of Russian aviation. 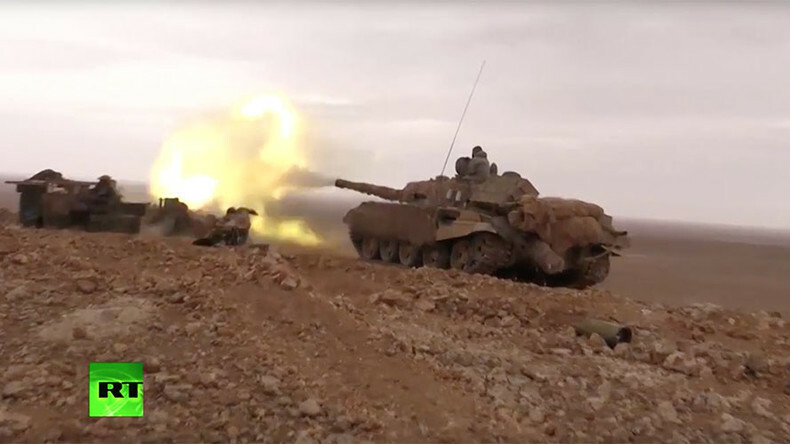 However, the city was retaken by IS in a counteroffensive in December 2016, which forced the Syrian Army to retreat, evacuating 80 percent of the population. The new operation to liberate the city was launched shortly afterwards, with the government forces advancing towards the city on a daily basis. Earlier on Thursday, the Syrian military took the strategic al-Tar heights near the city of Palmyra. When Palmyra again fell to Islamic State in December, there was a tactical retreat by the Syrian Army to concentrate forces to the battle in Aleppo, Middle East expert Abdel Barry Atwan told RT. “When the Syrian forces managed to capture Palmyra in May 2015, they realized that it really has no strategic value. They wanted to concentrate on Aleppo, the economic capital of Syria,” Atwan said. But now Palmyra is again free from militants thanks to the Syrian military on the ground and Russian air cover, which has been “the best formula” for counter-terrorism efforts in the country, the expert added. The strategic victory in Aleppo has proven that the “Syrian Army can, actually, take or liberate Raqqa, Islamic State capital, and there’s no need for Turkish forces, American forces, Kurdish forces,” Atwan said. A former UK ambassador to Syria, Peter Ford, has told RT that the victory of the government forces in Palmyra shouldn’t be underestimated. “It’s very important for three reasons. Palmyra is an iconic location. It was a great loss of prestige when it fell back in December. But now when it’s recovered the status of the Syrian government has risen accordingly. 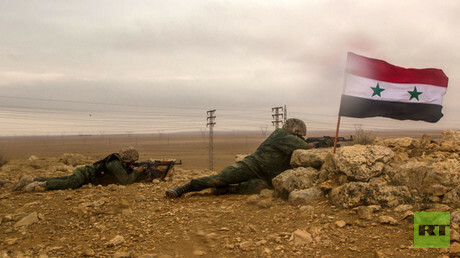 Secondly, it’s a tremendous boost for the morale of the Syrian army and its allies and the Syrian government,” he said. “Thirdly, the political importance in the present international context – the recovery of Palmyra demonstrates that anybody, who is serious about wanting to defeat ISIS – and, apparently, that includes US President Trump, who has made it his top priority – would have to work with the Syrian government forces,” Ford stressed.